Greetings, my crafty-loving friends! Want to make something for your kids today? Quick and easy? How about a shirt with an iron-on design? Yes? Ok, good. I'm glad you said, yes, because I really wanted to show you what I made for my preschooler. 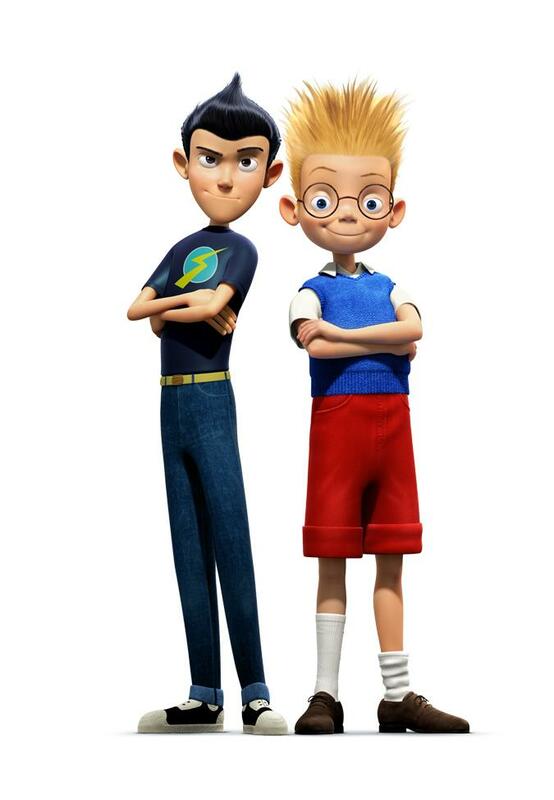 A couple of months ago, I was watching the movie Meet The Robinsons with Mac. Have you guys seen that movie? Love that movie. 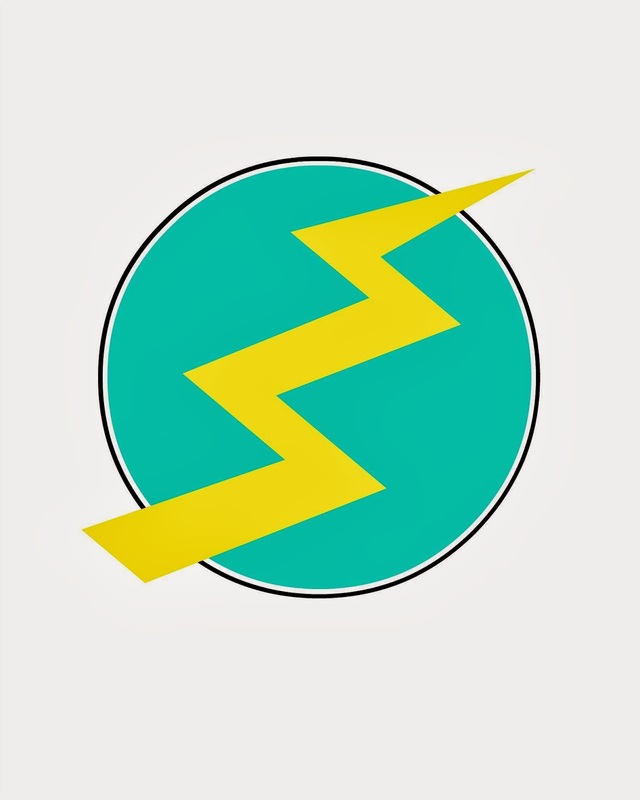 While we were watching it, Mac noticed Wilbur Robinson's lightning bolt T-shirt (the son of Lewis) and asked me to make a shirt like that for him. Well, of course I had to oblige! 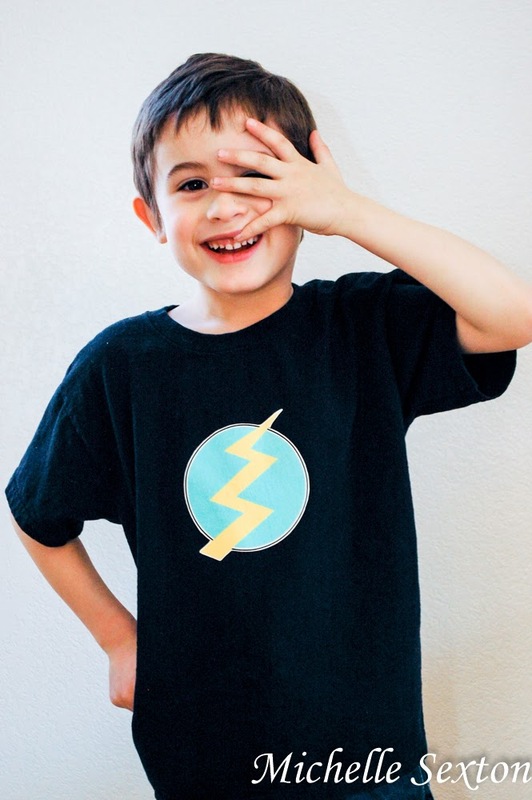 To make this fun shirt, print the Lightning Bolt PDF onto a sheet of transfer paper, cut out the image, and iron it onto a clean (duh), pre-washed t-shirt. 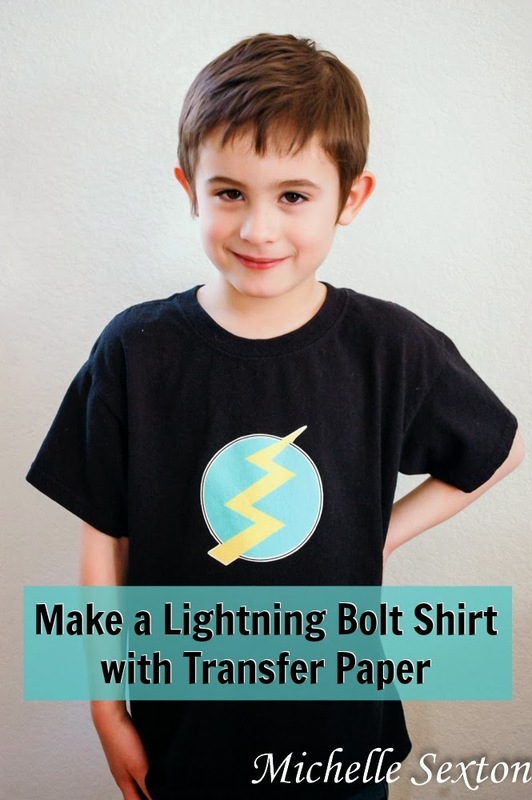 Be sure to read and follow the ironing instructions from the transfer paper package closely. Usually, the shirt needs to be washed and dried again after adhering the image onto the shirt before wearing, but you need to wait 24 hours after transferring the image before washing it. Crazy, right? Anyway, following the instructions for image transferring is important, but the results are well worth the small amount of effort it takes. Hi from Tutorial Tuesday link up! Thanks for the tute- love this! My almost-3-year old is SUPER into superheroes right now, he'll love one of these! What a cute idea! 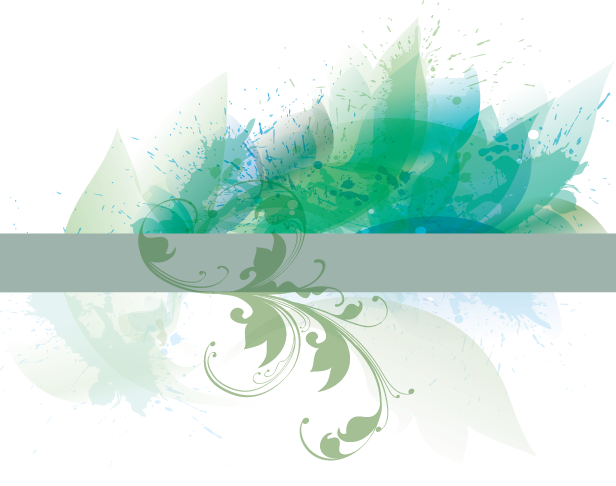 Thanks for sharing on the weekend re-Treat link party! Hope to see you again tonight.